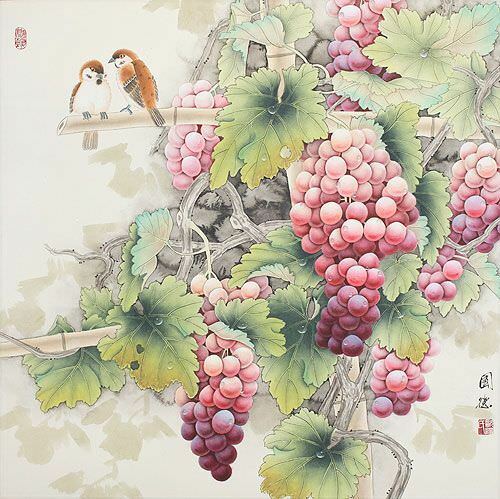 Artwork Panel: 30.3cm x 96.1cm ≈ 12" x 37¾"
Silk/Brocade: 39.4cm x 152cm ≈ 15½" x 59¾"
A very traditional wall scroll featuring two birds enjoying the sweet smells of the flowers around them. The title written on this painting literally means, "Valley has Good-Smells", but is more naturally translated as "Fragrance from the Valley". The characters following the title, are simply the artist's signature.